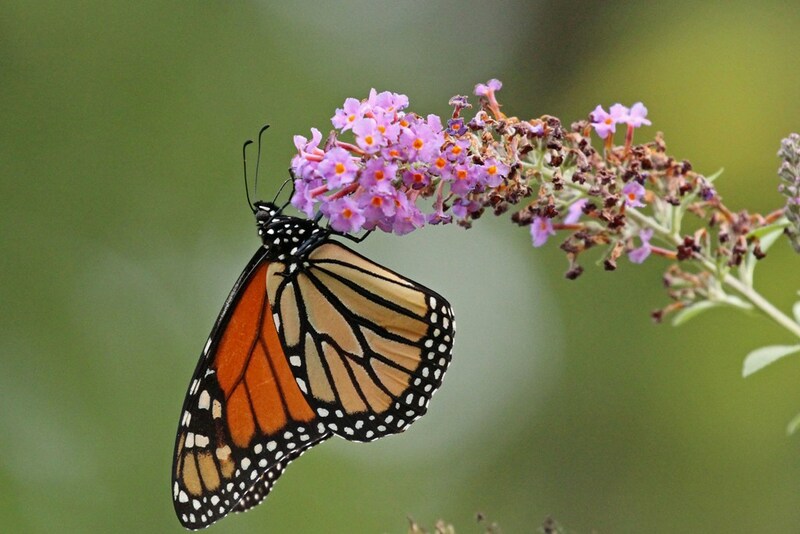 With butterfly season well past its peak, the few stragglers that are remaining have lost a lot of their luster. 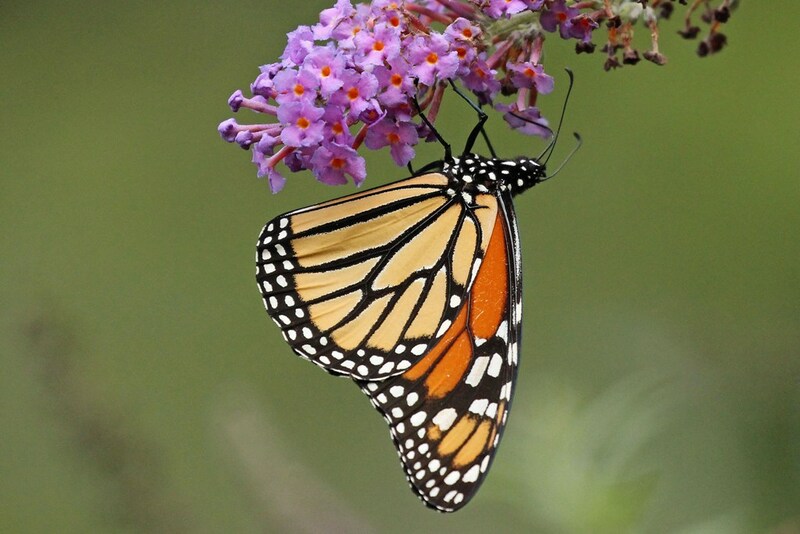 So, imagine my surprise when I stepped outside to see almost a dozen Monarchs fluttering about the front yard butterfly bush – all looking as if they were fresh from the cocoon. Setting aside the to-do list (vacuuming can always wait! ), I grabbed the camera and headed out to snap some shots of these glorious creatures. 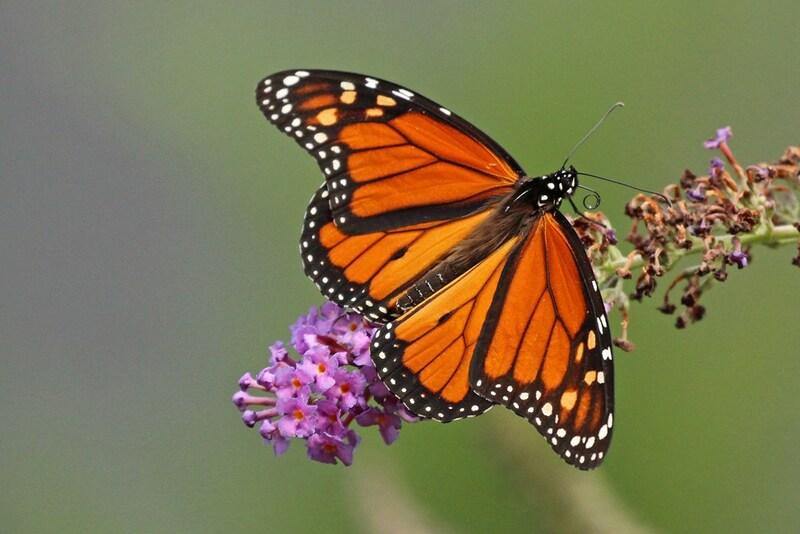 If the Cardinals from my previous post were radiant, these magnificent Monarchs were nothing less than majestic. It was hard to get pictures with uncluttered backgrounds since the the bush has grown to be a rather mammoth mess, but hey, you take what you can get, right? 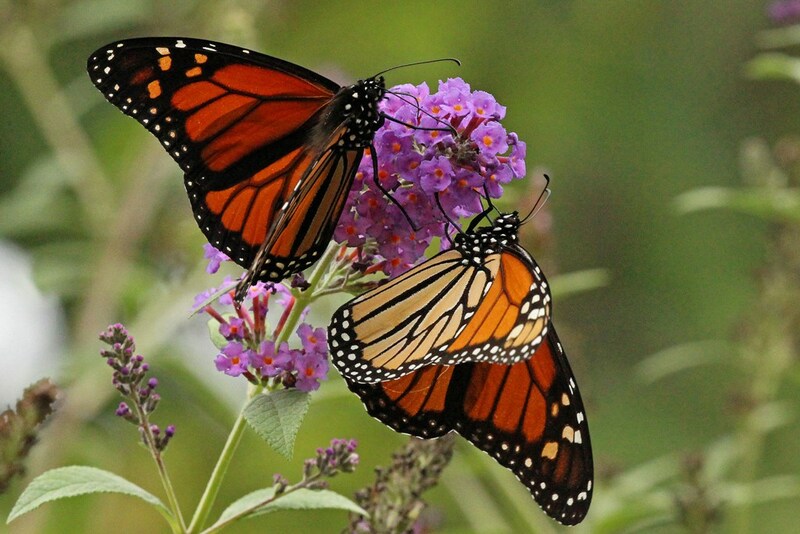 Occasionally, I got a shot with double-the-beauty, when two would briefly land on a blossom together. 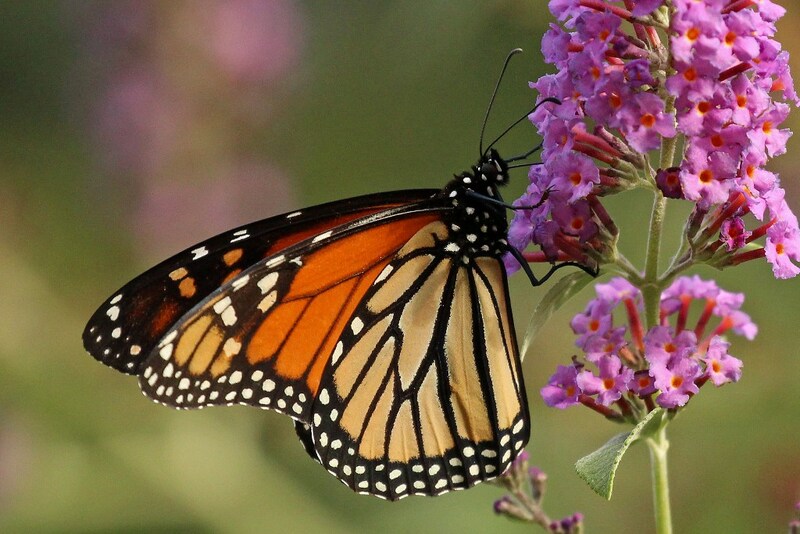 …but for the most part, they hovered around the blossoms on the butterfly bush. It was such an unexpected delight to have a few more moments with majesty! 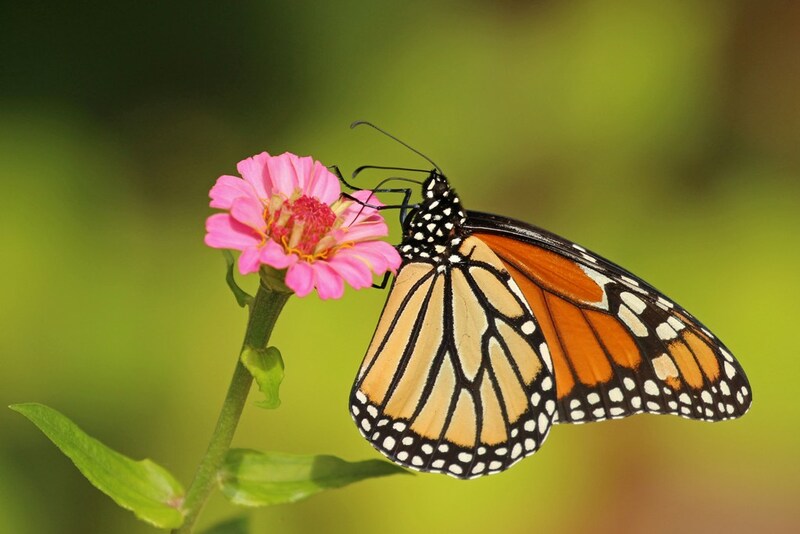 This entry was posted in Butterflies and Blossoms and tagged butterflies, creativity, flowers, gardens, hobbies, Monarchs, nature, photography, writing. Bookmark the permalink. You are such a fabulous photographer kathydoremus! 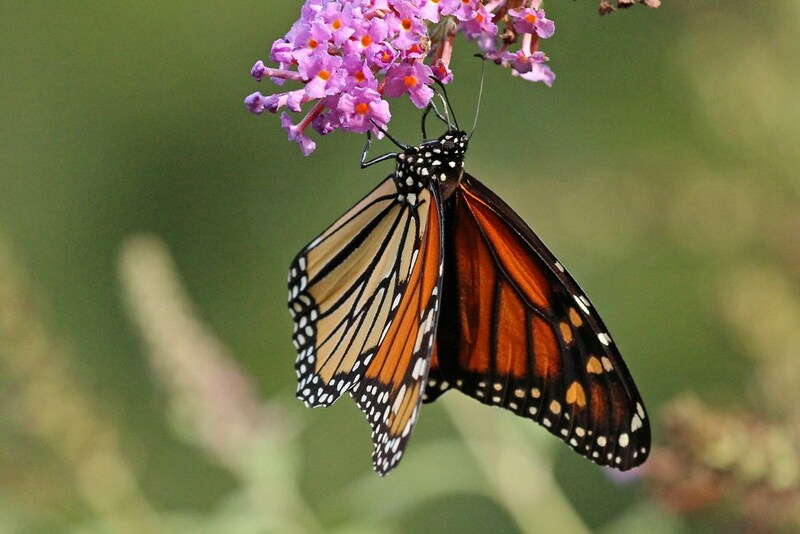 Last week some of them visited my butterfly bush on their way to yours. But I could not not capture one for they sailed off as soon as I moved. 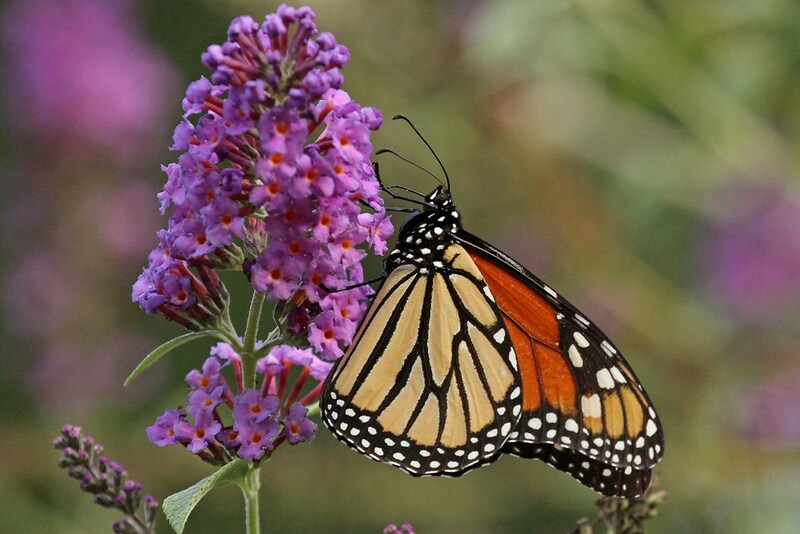 Someone told me butterfly bushes are candy & sweets & not the real sustenance they need, but look just look! They love sweets as much as all us kids do. And anything that gives a bit of energy is good I say. Thank you again for your piz (& skipping that mundane hoovering -can’t spell vaccuuming! 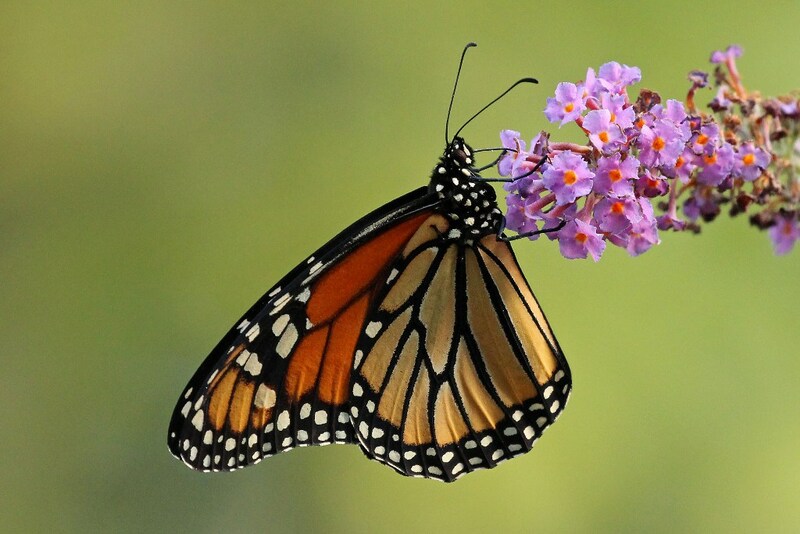 – till later when Beauty has flown). 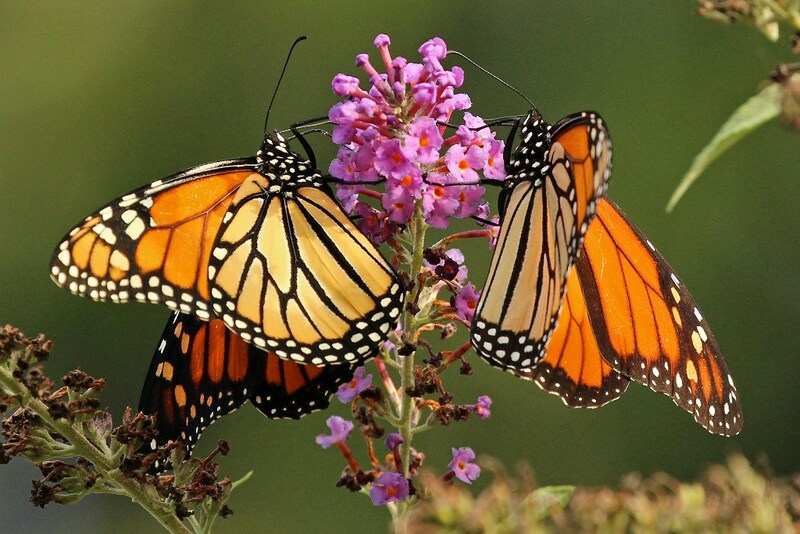 Thank you for tarrying with the Monarchs. They were only there for a day…probably en route to Mexico. Delightful indeed. What a beautiful series of photographs! I stood out there for twenty minutes and took about 400 photos – good thing I use digital and not film! I can just picture you chasing them down on your bike!!! Well done. Beautiful captures. Your photos are amazing. 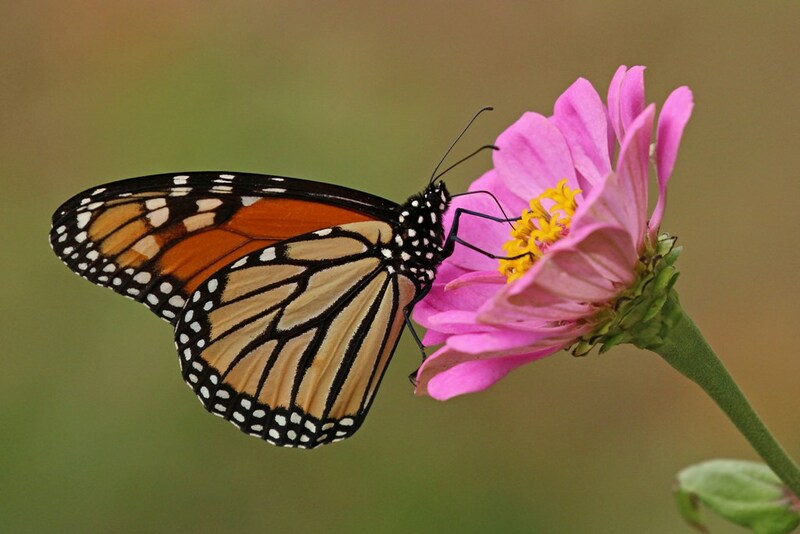 Stunning images of a beautiful butterfly. Every photo is more stunning than the next!! Thank you for sharing these beautiful sights.